I’m sure everyone remembers from elementary school what a double negative equals. A double negative equals a positive. A cost is clearly something we have to pay (a negative on our bank balance), so a negative cost is clearly more money in our bank or pocket. 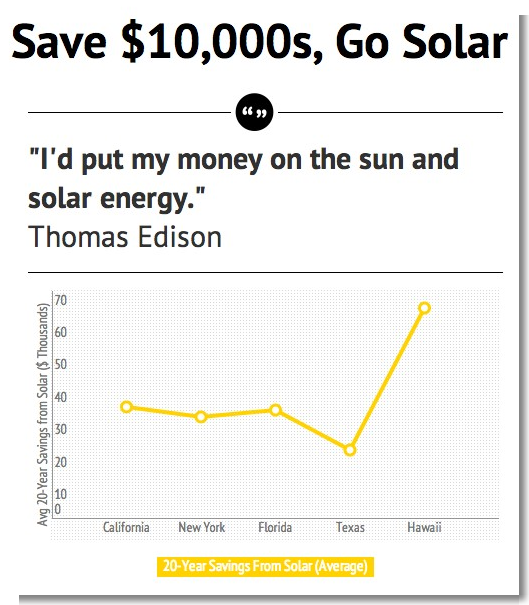 So, a negative solar energy cost of $20,000 is actually a savings of $20,000. All in all, the story is clear: there is no solar energy cost in the long term. Solar panels are an investment that end up providing you with more income. You become a power producer who can even get paid for supplying this much -needed resource to the grid. And some more awesome news is the money you save from not needing to buy electricity from the grid is not taxed. If you’re still curious about the upfront cost of putting solar panels on your roof, about 75% of people who have the choice actually get a solar lease rather than buying the panels. In such cases, you can go solar for $0 or close to $0 down. Immediately, you begin saving on your electric bill, and the 20-year savings are comparable to buying a system. Actually, the majority of the people surveyed in the study that found about $20,000 in 20-year savings went with a solar lease rather than buying a system. If the upfront cost of a solar panel system scares you, I’d consider checking out that option.